These gorgeous sparkle tutu pants teamed up with our matching fairy singlets in choice of colours, make the cutest out fit ever. Tutu pants are made form cotton lycra with soft wedding tulle. 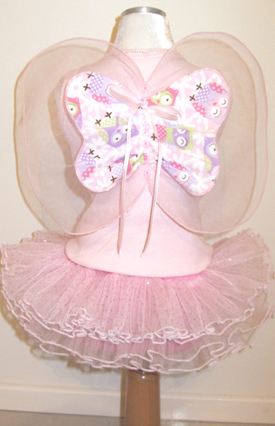 Fairy Singlets are 100% cotton and decorated with cotton and soft tulle wings.